To create a new job, select the "Jobs" section from the left menu and click the orange "+" sign in the top right. This will open the new job creation process. Here we'll enter the basic information about the job. Customer. Start typing to select your customer. The list will be based on the list of customers. Primary Contact. Select the customer contact. The list will be based on the list of customers contacts. Description. Enter a job description. Origin Address. Enter the origin address for the job. The list will be based on the list of customers addresses. Destination Address. Enter the destination address for the job. The list will be based on the list of customers addresses. Start Date. Job start date. End Date. Job end date. Notes. Enter notes for the job. A job profile needs to be selected for the job. A job can have only one job profile, which will include up to 5 different stages, depending on the complexity of the move required. Date. The job service date. Start Time. The job start time for the employees. End Time. The job end time for the employees. Quantity. The quantity of employees required for the role. 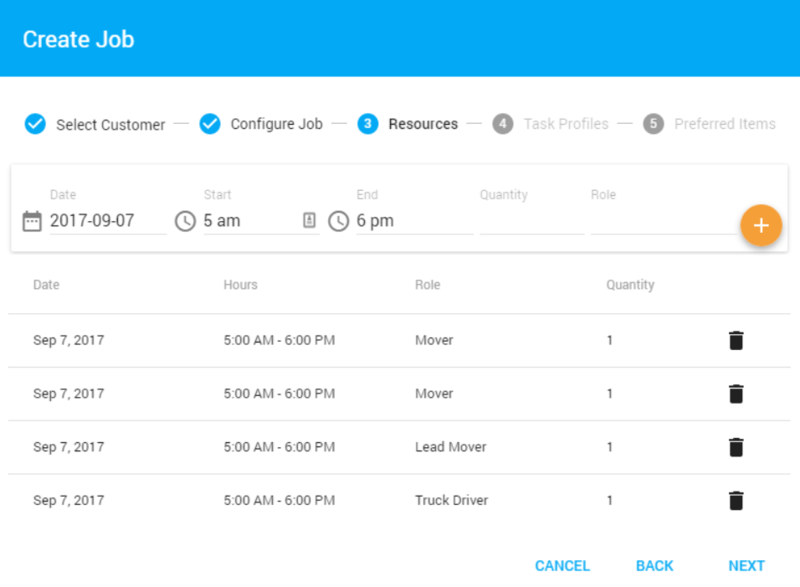 A job can have up to three task profiles associated with it. 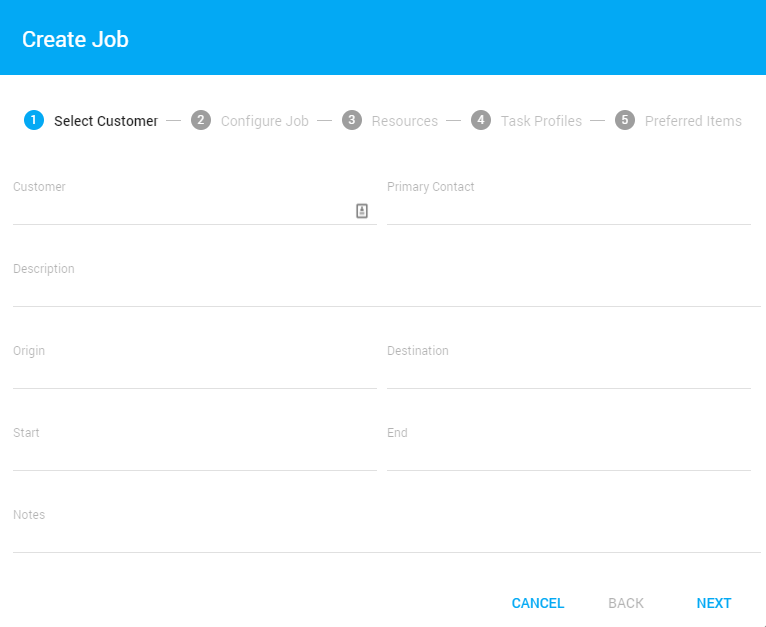 Task profiles allow the user to have a prepopulated list of task items.